Palazzo Model with 4 Seasons Room and Screened in Porch. 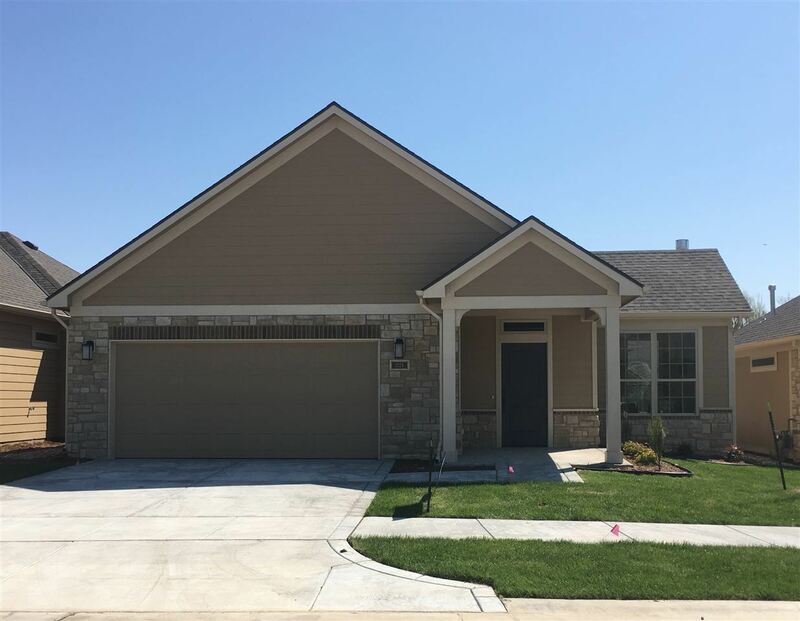 Enjoy maintenance free living at its best in our Courtyards at Estancia community at 37th and Ridge. Combine one level living with no stairs, upscale amenities and beautiful outdoor living and you will see why homes in our courtyard communities are so popular! This model is the Palazzo that is now available for sale as we begin the 3rd phase of our community. Enjoy split bedrooms where your guests have their own privacy. The master suite with has direct access to a spacious outdoor living patio on the back of the home. This plan has a "sunroom"/den where you can set up an office, separate living space, or an occasional 3rd bedroom! Enjoy zero entry walk-in tile shower in the master suite, luxury vinyl plank flooring in your great room/kitchen/dining/4-seasons room. HOA dues cover all landscape/sprinkler system maintenance with sprinklers on central irrigation wells. Also covered in HOA dues is trash service, snow removal, exterior building maintenance (excluding roof, windows, doors) and access to our amazing copyrighted, one of a kind clubhouse where you can enjoy pickleball courts and an outdoor heated salt water pool. Inside the clubhouse is a great room for socializing complete with kitchen and buffet space, smaller card/game room, restrooms, and exercise room complete with resistance and cardio equipment --- all this exclusive to our courtyard home owners and their guests. Come tour this model along with our other model homes 7 days a week 1-5pm. Photos shown are from completed and sold former model with same floor plan as this home. Actual photos will be posted when this home is complete. "Other" flooring is luxury vinyl planks. Room measurements are estimated. Taxes are estimated and disclosed when taxes are fully assessed. Price includes lot.